Steven Spielberg exclusively works with composer John Williams, but due to a minor health issue on Williams’ part (now corrected, thank goodness), the director will be teaming with the talented Thomas Newman for the upcoming Cold War thriller. 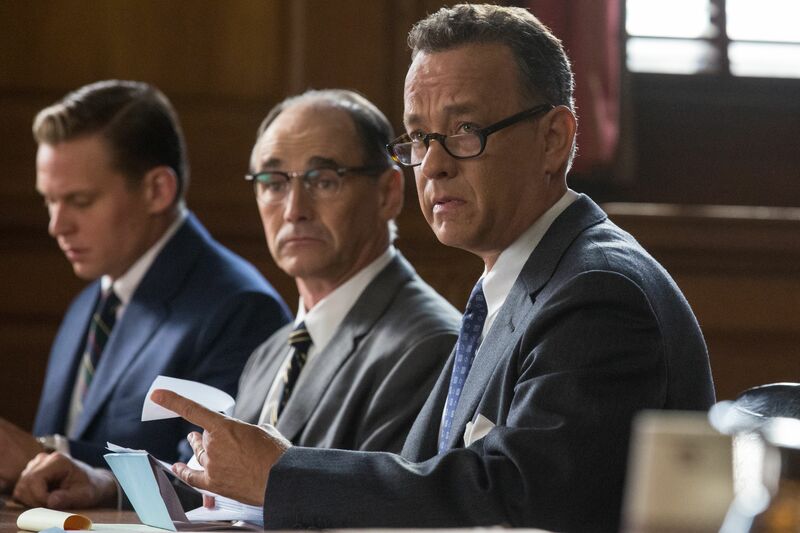 As we previously reported, the drama stars Tom Hanks and tells the true story of James Donovan, a lawyer who worked on behalf of the CIA to secretly negotiate the release of a U.S. pilot shot down over Soviet airspace in 1960. The film’s new title refers to a real-life bridge that links the outer bounds of former West Berlin to Potsdam, which was under the control of East Germany. It was this bridge where the American and Soviets performed prisoner exchanges during the 1960s, hence the title of the film. For those worried that this might be the end of Spielberg and Williams’ longtime relationship, fear not. The press release also announces that Williams will handle the score for Spielberg’s next movie, The BFG, which will shoot late this year. Check out the press release below along with a new image. Bridge of Spies opens October 16th, and also stars Mark Rylance, Amy Ryan, Sebastian Koch, and Alan Alda. BURBANK, Calif. (March 18, 2015) – DreamWorks Pictures’/Fox 2000 Pictures’ upcoming dramatic thriller directed by three-time Academy Award®-winning director Steven Spielberg (“Saving Private Ryan,” “Schindler’s List”) and starring two-time Academy Award winner Tom Hanks (“Forrest Gump,” “Philadelphia”), has been titled “Bridge of Spies.” In addition, 12-time Oscar® nominee Thomas Newman (“The Second Best Exotic Marigold Hotel,” “Saving Mr. Banks”) has been signed to score the film, as John Williams’ schedule was interrupted and he was unavailable to score the film due to a minor health issue, now corrected. A dramatic thriller set against the backdrop of a series of historic events, “Bridge of Spies” tells the story of James Donovan (Hanks), a Brooklyn lawyer who finds himself thrust into the center of the Cold War when the CIA sends him on the near-impossible task to negotiate the release of a captured American U-2 pilot. Screenwriters Matt Charman and Ethan Coen & Joel Coen have woven this remarkable experience in Donovan’s life into a story inspired by true events that captures the essence of a man who risked everything and vividly brings his personal journey to life. The film will be released in theaters nationwide on October 16, 2015. Williams, whose credits include “Stars Wars: The Force Awakens” and the “Harry Potter” films, will join Spielberg on his next film, “The BFG,” beginning later this year, continuing their unprecedented collaboration which they have enjoyed for over 40 years. Newman has scored many films for DreamWorks, including “The Help,” “Road to Perdition” and “American Beauty,” the latter two for which he received Academy Award® nominations for Best Original Score. 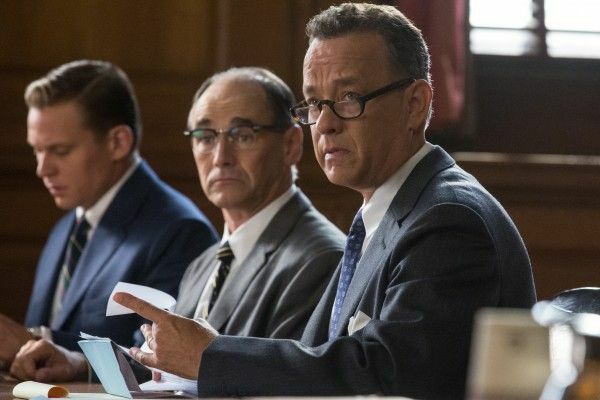 “Bridge of Spies” also stars three-time Tony Award® winner Mark Rylance (“Twelfth Night,” “Jerusalem,” “Boeing Boeing”) as Rudolf Abel, a KGB agent defended by Donovan; Scott Shepherd (“Side Effects”) as CIA operative Hoffman; Academy Award® nominee Amy Ryan (“Birdman,” “Gone Baby Gone”) as James’ wife, Mary; Sebastian Koch (“A Good Day to Die Hard”) as East German lawyer Vogel; and Academy Award nominee Alan Alda (“M*A*S*H,” “The Aviator”) as Thomas Watters, a partner at Donovan’s law firm. Fox 2000 Pictures co-financed “Bridge of Spies” with DreamWorks in association with Participant Media, and will distribute internationally. Disney will handle domestic distribution. In addition to directing, Spielberg will produce the film with Marc Platt (“Into the Woods,” “Drive”) and Kristie Macosko Krieger (“Lincoln”), with Adam Somner (“The Wolf of Wall Street”), Daniel Lupi (“Her”), Jeff Skoll (“The Hundred-Foot Journey”) and Jonathan King (“Cesar Chavez”) serving as executive producers. The screenplay is by Matt Charman (“Suite Francaise”) and three-time Academy Award® winners Ethan Coen & Joel Coen (“No Country for Old Men,” “Fargo”).